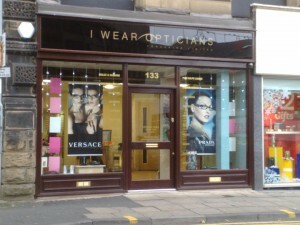 I Wear Opticians is an independent practise established in October 2008 and is based in the heart of Bradford City Centre. We pride ourselves in excellent customer service and make sure you get the very best personal eyecare service on offer. Our friendly, helpful staff is highly qualified with over 13 years of experience in the optical industry. We have a range of optometric services on offer, including a fantastic selection of products for both NHS and private patients. Some of our services include full eye examinations, a large selection of frames, lenses, sunglasses and a wide variety of contact lenses and accessories.